An excellent variety of empty peeled stickers for when you have important information you want to stand out. Use any font style or color to imprint your marketing messages. Easily add clipart or photographs and use these stickers in your blog posts or special reports. You get the PSD source files and web-ready PNG files that you can edit with Sumopaint or other graphic editors. (15) Peeled Stickers PSD source files. 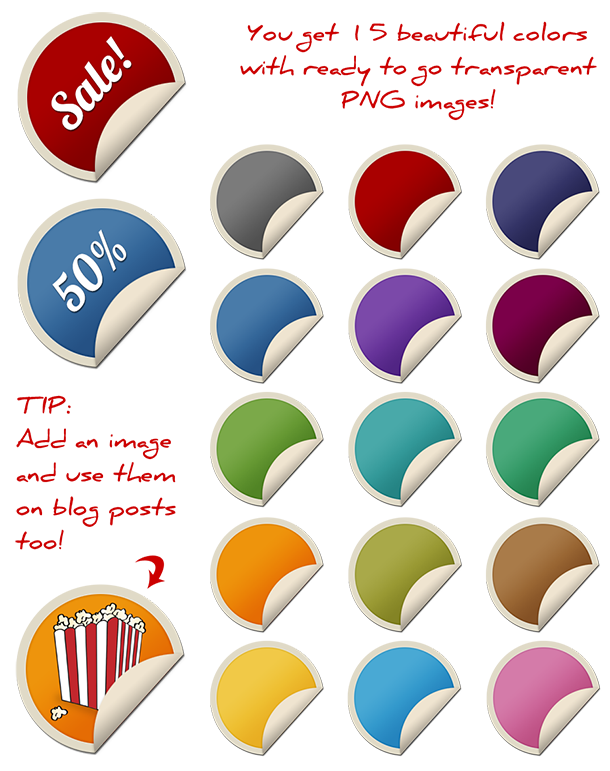 (15) Sticker colors with transparent backgrounds.